Simply put, these are the perfect accessories for any event. 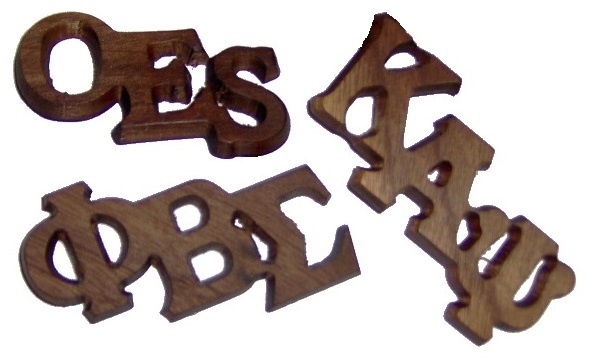 The diagonal letters on these wooden pins show off your loyalties in a grand way! Each pin measures about 3 inches wide.